Imagine sitting on the Memorial Union Terrace, but instead of the rippling waves of Lake Mendota are the soothing sounds of the ocean, and replacing the brisk Wisconsin winds is the warm Caribbean breeze. 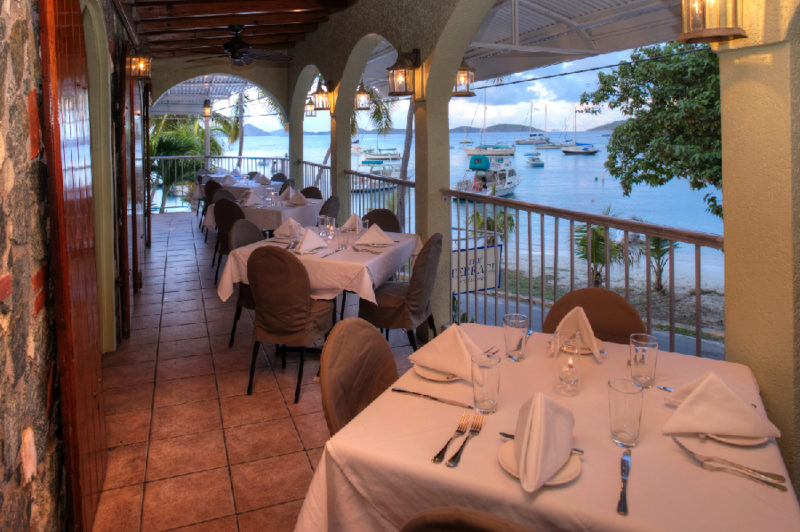 Though not the Terrace we all know and love, it is The Terrace Restaurant, a French-inspired restaurant on the island of St. John. Recently opened by UW-Madison grad Erica Miner and her husband Robin, memories of the Union Terrace can be found in this small island paradise. The Terrace Restaurant. Photo courtesy of Steve Simonsen. 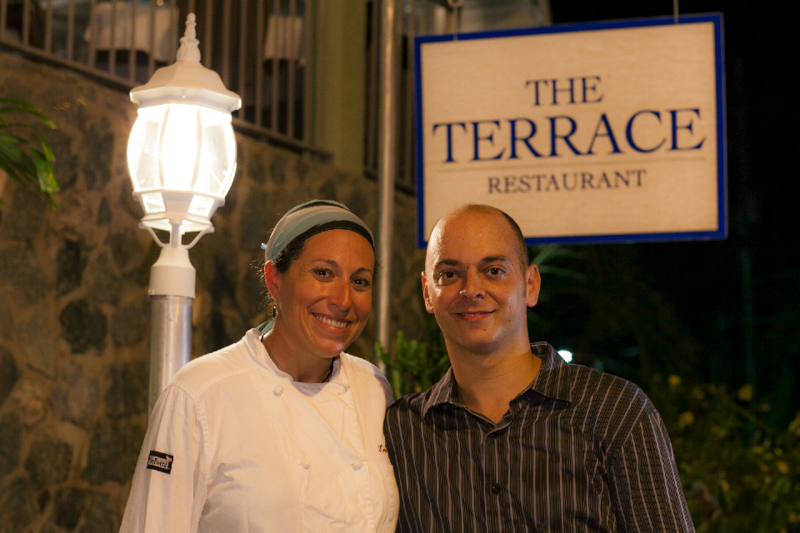 Chef Erica Miner and her husband Robin opened The Terrace Restaurant in October of 2012. Before attending culinary school at Le Cordon Bleu in Chicago, Erica flipped brats and served beer at the Memorial Union Terrace and worked at Dotty Dumplings Dowry and Harvest. She graduated with degrees in Political Science and International Relations, but found that her passion lay in cooking. Years of living in the Midwest began to wear on Erica’s dislike of the never-ending winters, driving her to St. John in 2004. She knew she could cook anywhere and loved the beach, so the Caribbean island seemed like a perfect fit. Robin, Erica’s then-boyfriend and Madison native, wholeheartedly agreed to embark on this adventure into the unknown. Three years later, they would be married on a beautiful beach in St. John, with family and friends in attendance. Erica and Robin Miner. Photo courtesy of Steve Simonsen. 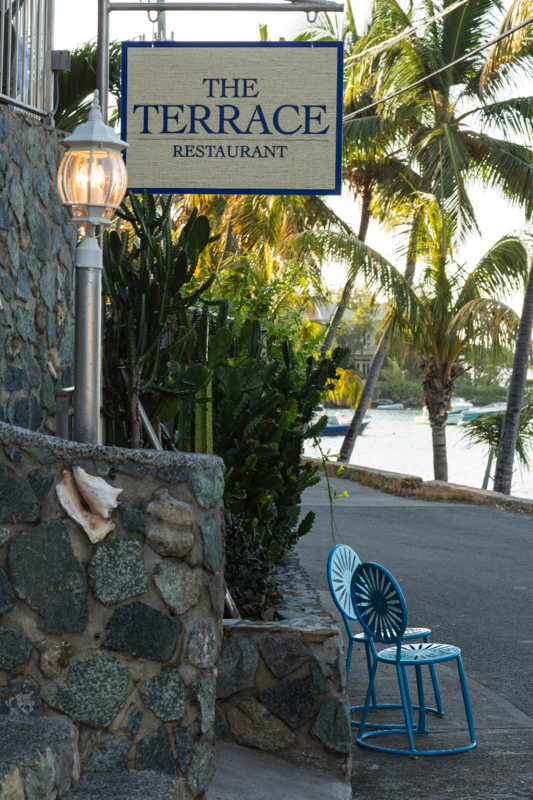 Upon arriving in St. John, Erica first became a chef at La Tapa, then went on to open the Waterfront Bistro as the executive chef, an experience that helped her in opening The Terrace. When a restaurant property went up for sale in a stunning location on St. John, Erica and Robin saw it as a sign that they were ready to work together in opening their own restaurant. Among the myriad number of steps to prepare for the opening was choosing a name. The most popular restaurant that previously held the space before was called The Stone Terrace. Though the name solely referenced the terrace in the front of the property, the name holds a double meaning for UW-Madison graduates. 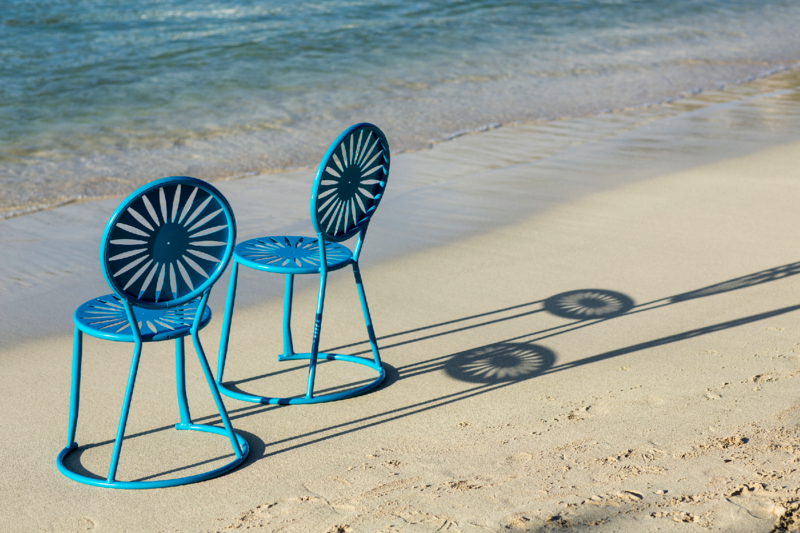 Mendota Blue chairs on the beach. Photo courtesy of Steve Simonsen. Many visitors from the Midwest and Madison have dined at The Terrace. Connections and word of mouth have led excited alumni to try the delicious meals served in tropical paradise. If your travels ever take you to St. John, fellow Badgers Erica and Robin will welcome you with a table at The Terrace.